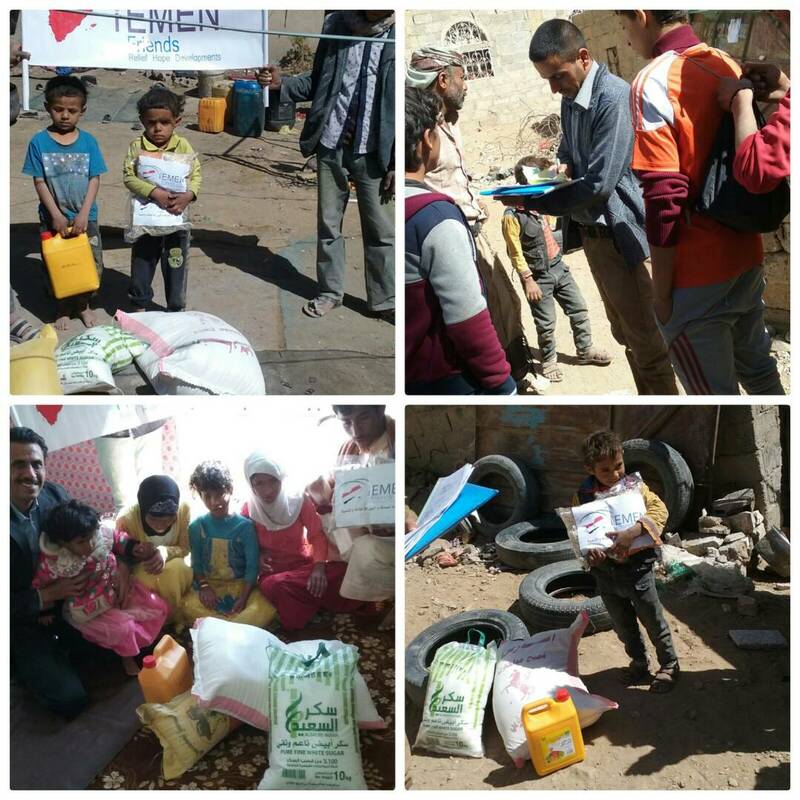 Today, our Yemen Friends team completed the sixth distribution phase of food baskets distribution at Shamlan area in the capital Sana’a for many displaced, families and orphans children. One of the families that we targeted today was displaced by the war from the northern Saada city on the Saudi border. This family has five blind daughters, they are actually living in a very difficult situation. We are very happy that we were able to help them and provide them with some food. Nothing more beautiful than feed a hungry child and save lives of needy people and bring a hope of a better life for them. Saturday or Sunday we will complete the distribution and we will target 18 more families in the west of the capital, which means that we were able to target 75 families only during the month January 2018. It is even a larger number than what we targeted during the last year. A thousand thanks to all our donors!